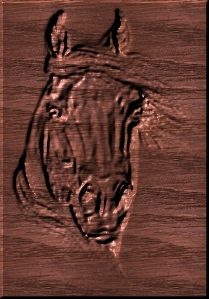 Pony camps are held every school holiday. 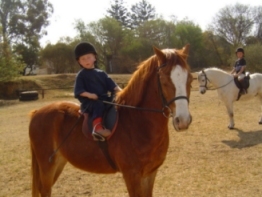 Our pony camps allow young riders to learn about ponies, develop horsemanship skills, socialize in a positive environment and learn good values. 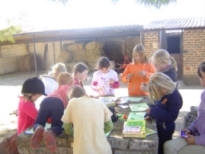 Activities such as grooming, lessons, outrides, stable tasks , swimming, crafts and baking are all part of pony camp. 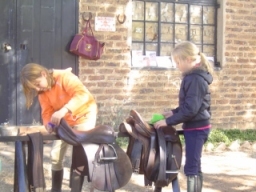 Children will learn stable management skills and enjoy horse-related crafts and activities such as riding lessons x2 per day valued at (R220per lesson), tacking up your own pony and cleaning tack etc. 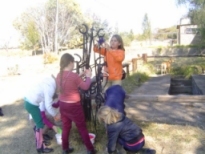 Bookings are essential for our holiday camps and are limited as they are very popular. A 50% deposit is required to secure your booking.